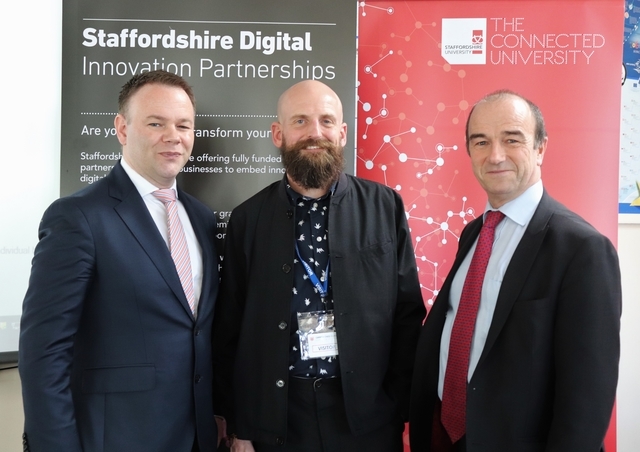 Staffordshire-based small and medium enterprises are being given the opportunity to boost their business through digitally innovative technologies and expert support from Staffordshire University. 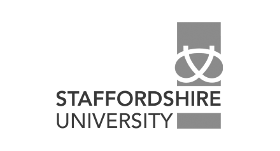 Last year, Staffordshire University and Staffordshire County Council launched The Staffordshire Deal to improve the region’s economy and raise the skills of the local workforce through embracing digital change. 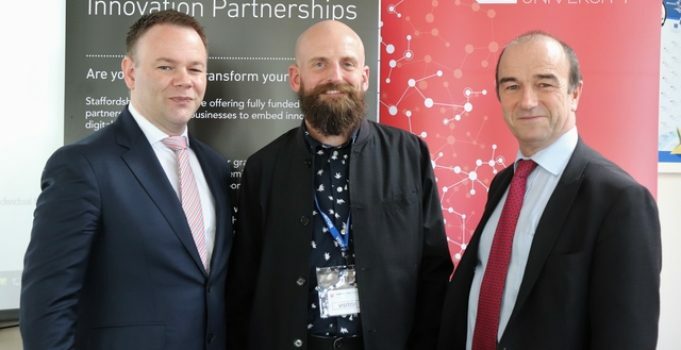 Now the partners will deliver the Staffordshire Digital Innovation Partnerships project to drive digital transformation in the region after successfully bidding for £1.24m funding from the European Regional Development Fund (EDRF). 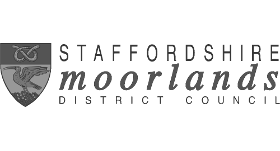 The project is also being supported by the Stoke-on-Trent and Staffordshire Local Enterprise Partnership. 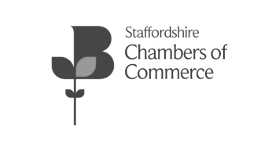 Vice Chair Alun Rogers leads the Smart Staffordshire initiative to drive digital skills in the region and is also heading the development of the LEP’s Local Industrial Strategy. 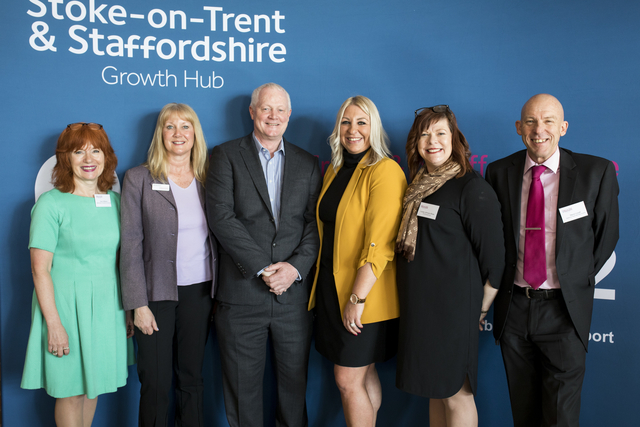 Over a three-year period, 36 fully funded partnerships are available to support Staffordshire SMEs to improve processes and support the development of new to market products and services through the use of innovative digital technologies. 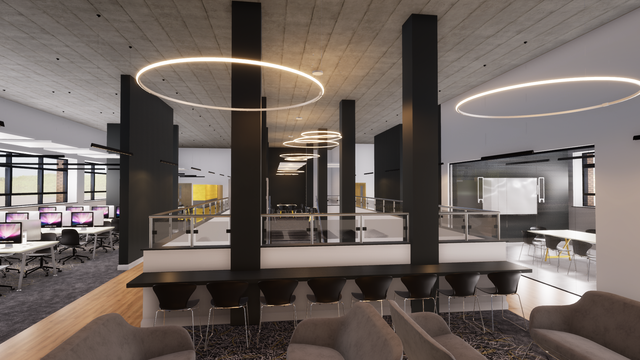 Staffordshire University is leading the project and providing each six-month long partnership with a full-time student or graduate placement, an academic expert dedicating half a day each week and wider specialist support to maximise business opportunities. 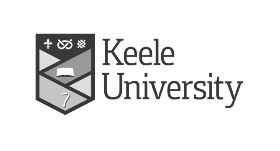 Professor Ieuan Ellis, Pro-Vice Chancellor (Partnerships & Region) at Staffordshire University, said: “In our role as a Civic University we are strongly committed to helping local businesses adapt to technological change, supporting the development of higher-level skills, and improving the health and wellbeing of local people. 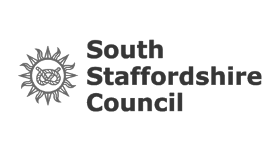 Businesses are also being given the opportunity to help solve a series of different social challenges identified by Staffordshire County Council and each of these partnerships include a £10,000 grant. 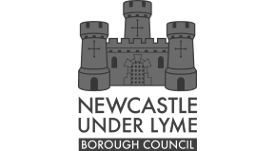 The first two challenges, which were announced this week, focus on growing community support and raising the aspirations of young people in the region. 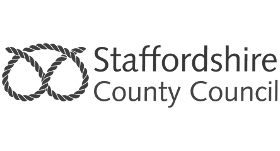 This links with the county council’s #DigitalStaffordshire strategy which focuses on enabling citizens to use digital innovations to improve lives and productivity, leading to a healthier, happier and more prosperous county. 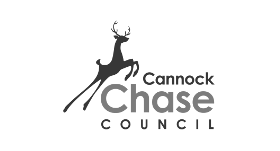 The launch took place at Cannock Chase High School, which is one of a number of schools embracing digital change and already using new technologies to improve learning and attainment. 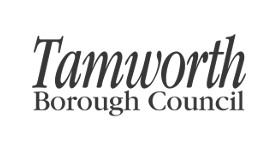 This includes using software to set homework and record feedback, monitor performance and improve health and wellbeing. 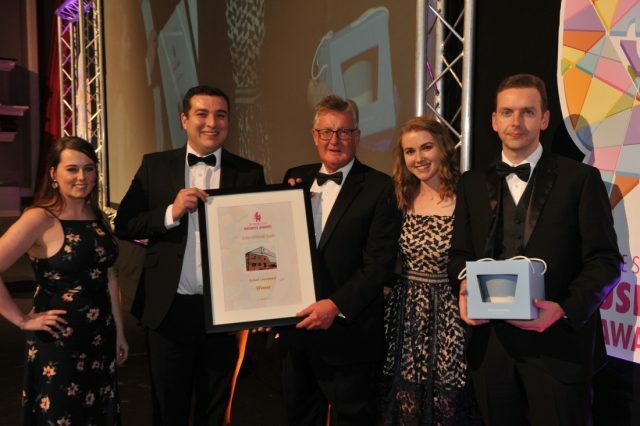 Alun Rogers is pictured (centre) with Cllr Philip White (left) and Professor Ieuan Ellis. 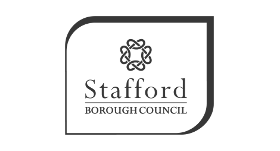 The Staffordshire Digital Innovation Partnership project is receiving up to £1.24m of funding from the England European Regional Development Fund as part of the European Structural and Investment Funds Growth Programme 2014-2020. 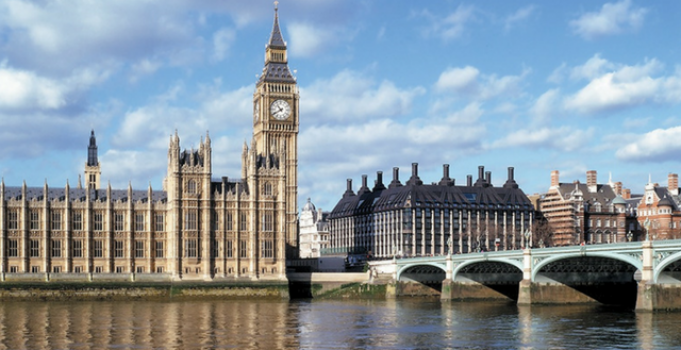 The Ministry of Housing, Communities and Local Government is the Managing Authority for European Regional Development Fund. 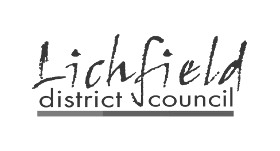 Established by the European Union, the European Regional Development Fund helps local areas stimulate their economic development by investing in projects which will support innovation, businesses, create jobs and local community regenerations. For more information visit https://www.gov.uk/european-growth-funding.